With the impending Early Access exodus upon us, it appears the Facepunch crew is trying to tie some loose ends for you Bumfuzzlers! We’ve got various tips, AI changes and more so read on! To help new players along, there’s been a surge of Game Tips and Loading Tips. About 20 Game Tips will help new players survive in that first day while Loading Tips will make sure you get a full edumacation while loading the game on your 486. Pay attention! 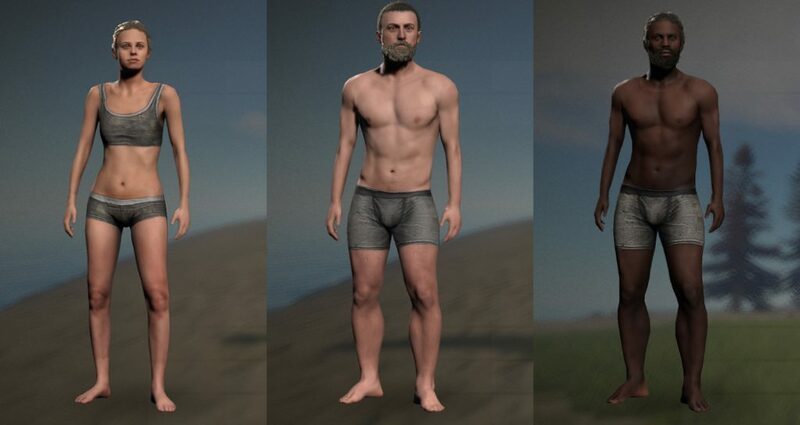 Finally we will be able to see our clothing in the first person view and in admires. 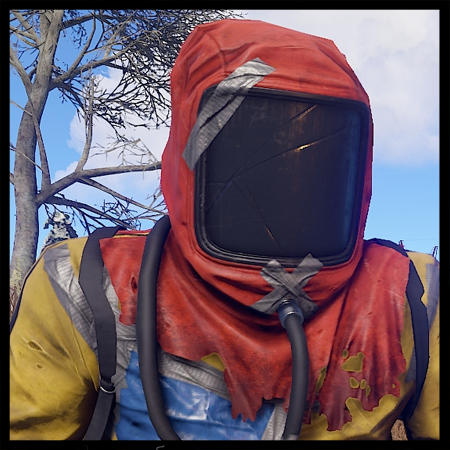 This definitely will add more realism to the game and make it feel more complete. Check out the picture below to see what I mean. That’s going to look great with all the Skin Perks! 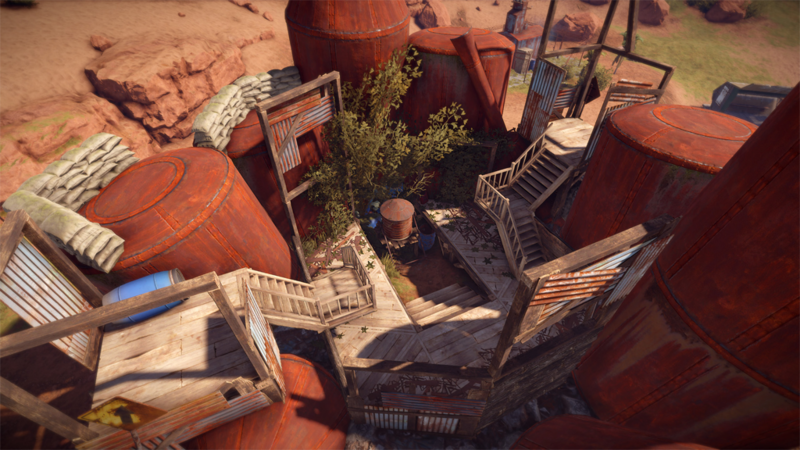 They’re adding two more variations of the water wells. I really like the look of them. They add a lot to the game. Looks like you can now admire your geetar while you play your magical tunes for the other players on the server! There’s a bunch of other changes and fixes abound as you can see by the list down below. As usual I’ve highlight my favorites. Well…. 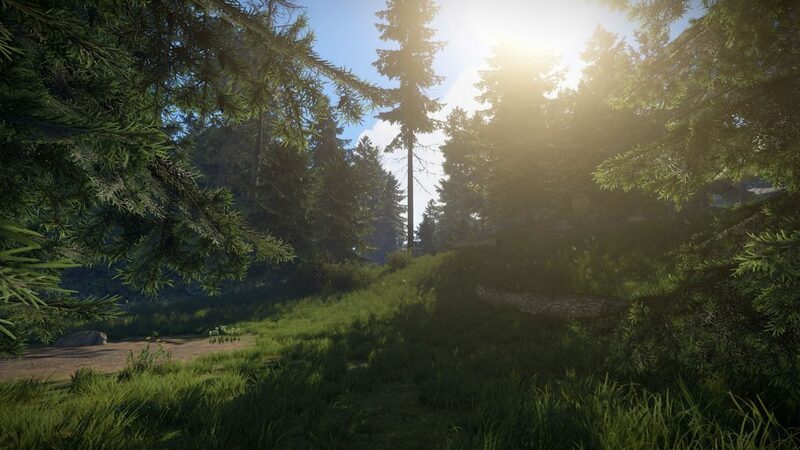 the server is wiped today along with a patch with a long list of changes, but most of the changes are based around admire updates, performance improvements and a couple bug fixes. That being said, there’s still some important items to take note of so let’s get started breaking it down! 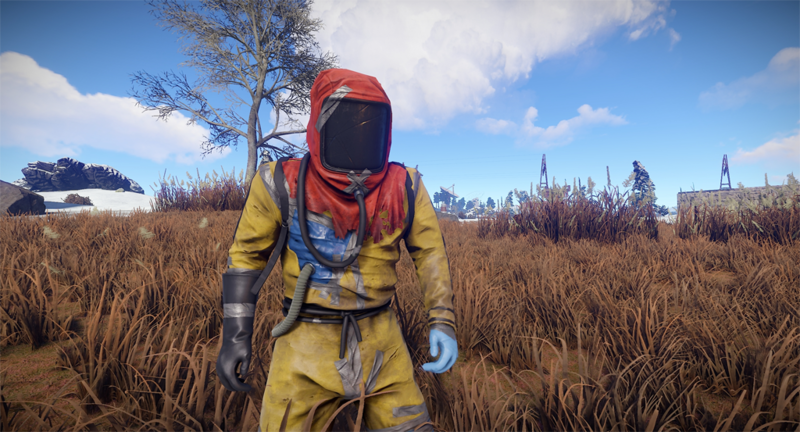 There’s a new craftable Hazmat suit. 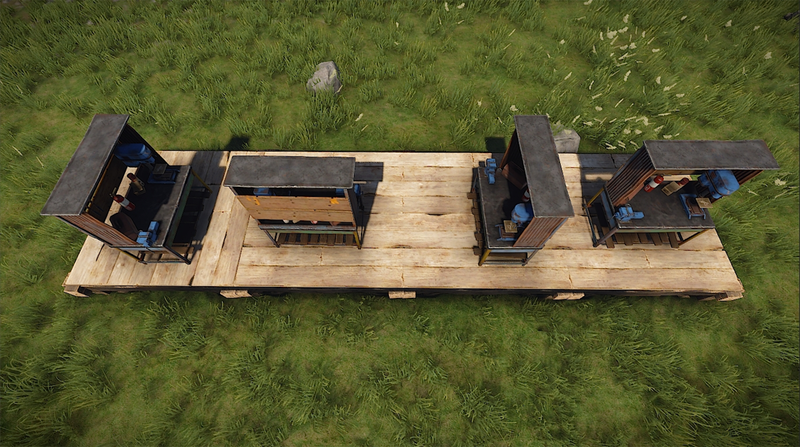 It’ll require a Tier 2 workbench and you’ll have to research once you get your hands on it, but hey! It’s cool looking. 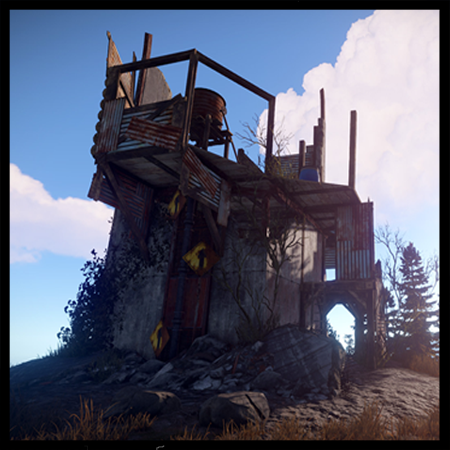 Facepunch has raised the time delay for repairing structures after they’ve been damaged from 8 seconds to 30 seconds. This is quite a big jump. They suggest they are looking to increase online raiding. Seems like it will surely make it easier for the raider. I wonder how it works with the Handyman plugin. At’ll need some testing. Now you can finally rotate your workbenches to achieve that perfect home decor you were looking for! I am looking into the situation with the ‘workbench anywhere’ feature. It appears the dang thing is just buggy. Everyone is complaining about it and the author has possibly been eaten by wolves. I found another plugin that offers the same functionality, but it doesn’t have the ability to use permissions which are needed since not everyone on the server gets that functionality. I’ll follow up on this in the near future. 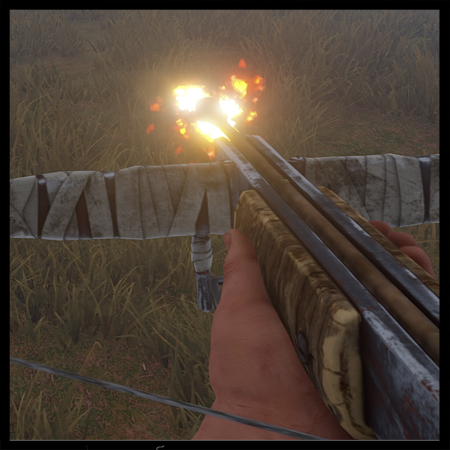 A possible game changer is that fire arrow fireballs now slow movement. I can imagine this will make for great offensive and defensive situations. They’ve also added outlines so it’s a heck of a lot easier to find arrows rolling around on the ground. A very interesting move to handle cheat reporting was made. You can report hackers in game at the death screen by clicking a ‘Report Cheat’ button, but you’ll have to register on their site to do use it. A nice benefit of that is they’ll actually email you when your reported hacker is banned! Bumfuzzlers, again, we’ve got lots to talk about! On the heels of all the recent changes, I have a new batch of modifications that I hope you like. Here we go! As always, once you sign off, protection will kick in 15 minutes from that time. Once it kicks in, it will initially go to 100% and decrease each hour by 10%. This will give you Bumfuzzlers some protection for up to 10 hours so you can go to work, eat your TV dinner and still have some bonus to spare! In the previous mode you’d have some protection up to 36 hours so this is a major change. 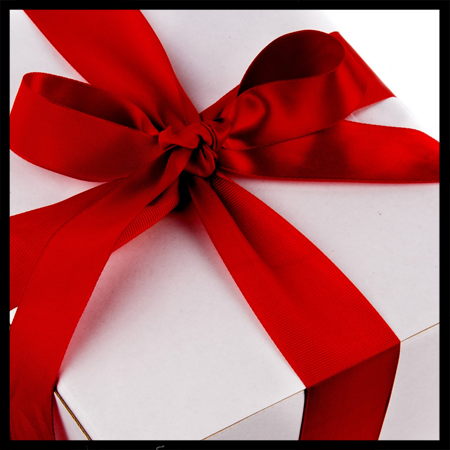 To me it seems like some big ticket items – and a lot of them – are really easy to get. For instance, the Helicopter Refuel and Pilot Eject events are really easy to complete successfully. So I got to thinking it would be a good idea to start trimming around the edges a little. 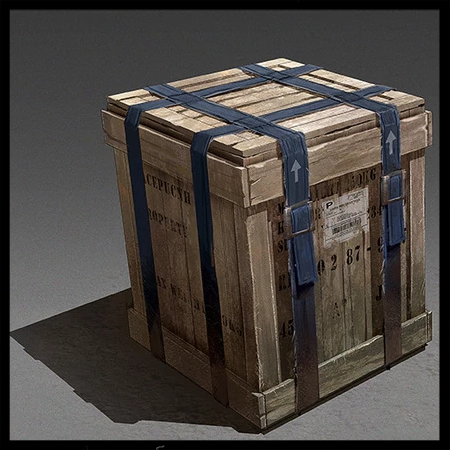 I didn’t adjust the loot in the crates, but I did adjust the crate amounts. For the Helicopter Refuel I cut the crates from 6 to 3 and for the Pilot Eject event I cut the crates from 3 to 1. For the last few weeks I’ve been thinking this plugin gives players a free reward for sitting on their bums in their base trying to avoid someone from killing them. On the other hand, it gives them a reward for revealing their location since other players use it to find out where a players base is. Well, right now at least, I think this whole thing is a bad idea. 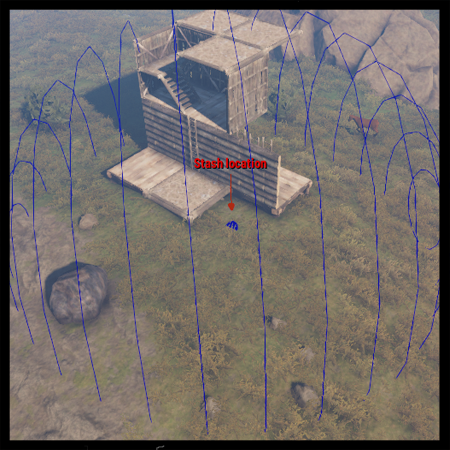 I want players to be able to keep their bases secret, I want others to explore and I don’t want to give Bumfuzzlers rewards for sitting on their tookus. So for now, I’ve disabled this plugin until I can consider adjustments. I’ve given everyone 10 more teleports. 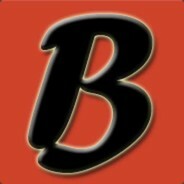 By default, Bumfuzzlers now get 30, Legitimate 32, Veteran 34, Allegiance 40 and VIP 50. This should help out getting around better! I’ve also made some changes to the Bradley as well. The SuperBradley now respawns after 30 minutes, has a start health 500 higher, it’s turrets were adjusted to shoot 20 meters further and the speed was adjusted down 20%. Additionally, crates were adjusted down to 3 to match the SuperHeli. After some careful thought and a couple requests, I’ve added lifetime packages to the Bumfuzzler store. However, for now, I’ve only added this to the Warp Master, Blueprint Master, Builder, Gather, Hunter & Raider packages. You’ll now find these packages available in 1 month, 2 month or lifetime varieties. I’ll consider expanding this to the other packages in the near future. Check out the store for more information! Got a few updates for all you Bumfuzzlers out there! It’s been a little quiet as I work on some things for February, but I assure you work is being done! Here’s a few items to note. 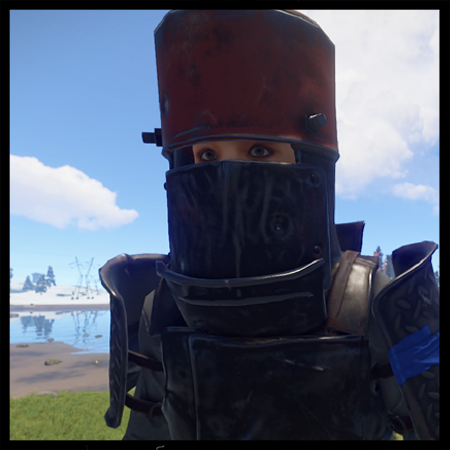 A while ago, after Facepunch enabled twig and ladder building in blocked zones, the server took a poll and decided to restrict those items – and we did. 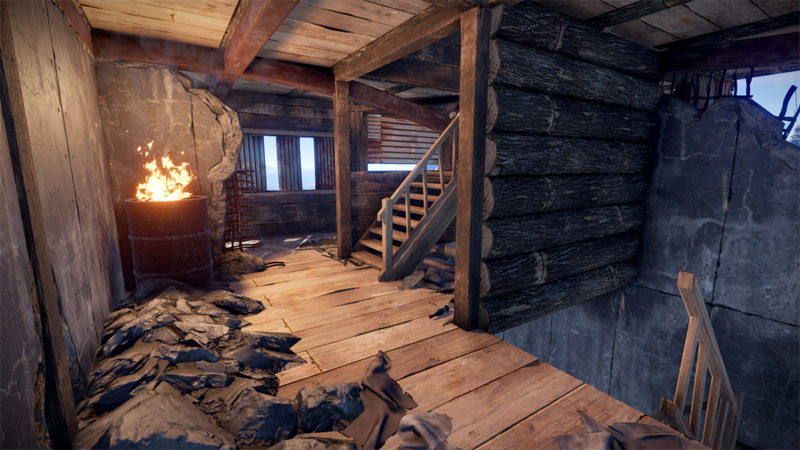 But then Facepunch enabled building on icebergs which required adding ladders back. 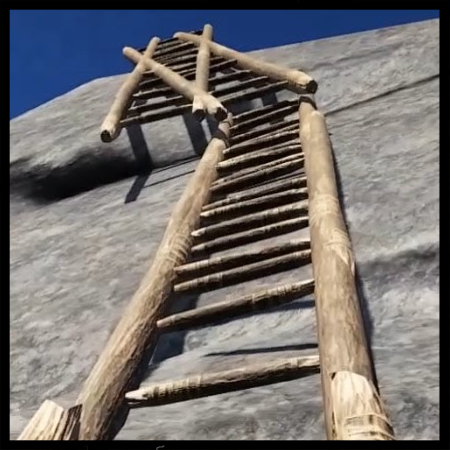 Shortly after that, in true Facepunch fashion, icebergs were changed again – for the better – and now didn’t require ladder raiding. So, we’re back to where we were – I’ve disabled ladders in building blocked zones. I did some testing and you’re right. Those NPCs are accurate for sure. I got in touch with the plugin author and discussed it. I advised that regardless of weapon or distance, the accuracy seems to be really good – too good. He replied. So, it appears the accuracy is a bit across the board with no ideal fix in sight. For recourse I’ve adjusted the aggression range to 20 meters instead of 40 meters. 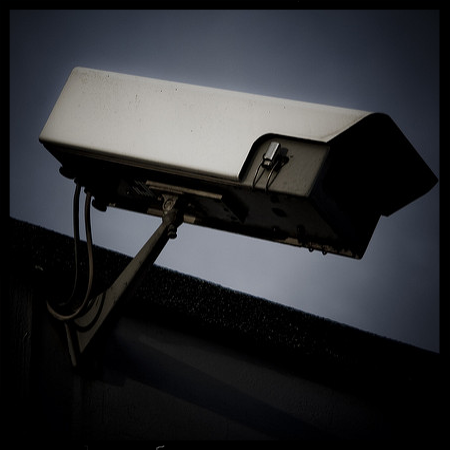 Approaching them outside of 20 meters is safe and running away from them 20 meters or more is safe. I would advise you aim well if you fire! If you feel they are way too strong and they are preventing monument access to the point you feel they should be disabled, let me know. 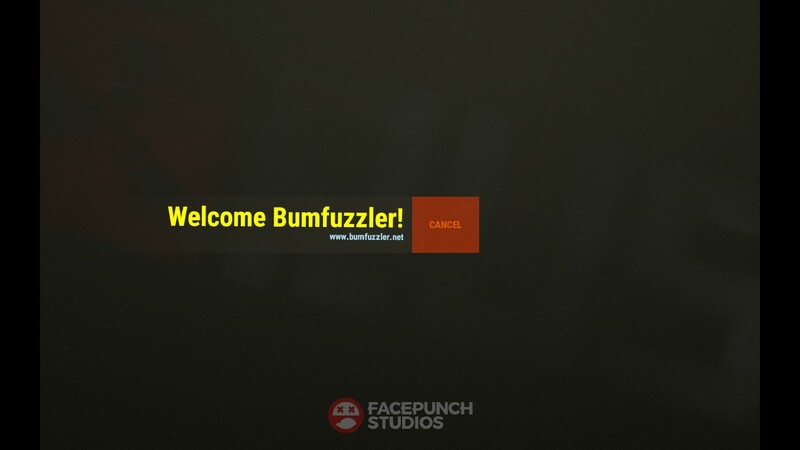 I’ve seen a few searches go bad and Bumfuzzlers not finding what they need so I tried to improve this. Give searching a try and let me know if it works better for you. However, if you don’t find what you need, try searching for different words. Sometimes that’ll help. I noticed that the Turbo Gather, the plugin that gives you a harvesting boost at times, was giving a 1x boost after a successful hunt. This is no boost at all! I’ve adjusted this to 1.25x so after you get the kill, expect to have a short boost for gathering. I’m not a huge fan of banning players and only do it when I must. I generally like to ban based on time and not permanency. 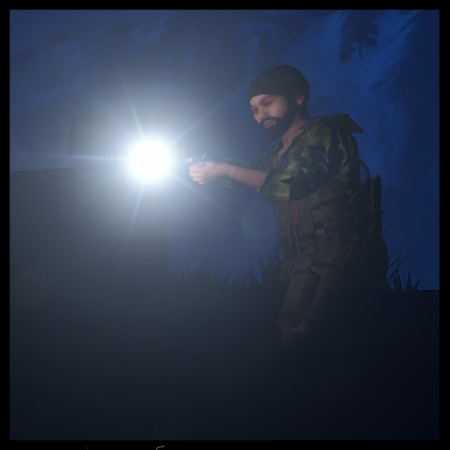 Given that, on the next wipe – Thursday January 18th – I’ll be removing a couple of bans – not all. Please note, if you’re one of these players, I’ll be paying extra attention to you. Make sure you follow the /rules to a ‘T’. Next time is permanent without question. I put in a lot of work and the Bumfuzzlers who play here do too. I’m not going to tolerate anyone who even remotely creates problems on the server or spoils that. Be warned! Please continue providing me feedback. I’ll continue to try my best to pay close attention and improve what I can. Thanks Bumfuzzlers! Hey Bumfuzzlers! In contract to last week’s update – which I couldn’t have even been bothered to post about – this week’s update has a lot to talk about – specifically in the area of performance. 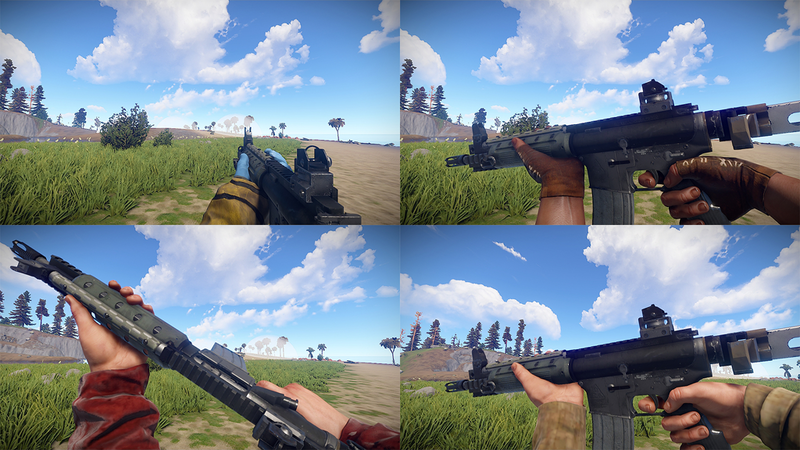 At the same time, there are some nice updates to arrows, weather, and key locks which really help out people jumping on after a wipe. 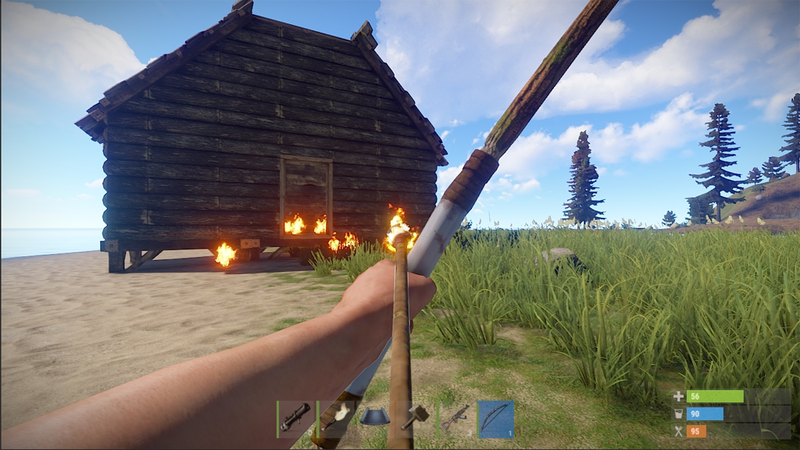 We’ve got fire arrows! And bone arrows! It appears they’re both slower and more accurate, but fire arrows will give some splash damage within a radius. Developers say that the fire arrows are far from completed and they want to eventually have players light the arrows with a torch or camp fire. Nice idea! Apparently there were fiddling with the fog this update. I know a few of you Bumfuzzlers sometimes complained about the density of the fog. Well, now it appears fog won’t get all THAT thick and on the clearer days it will be far clearer. They’ve made it so fog and wind are varied every 18 hours. Now when you admire certain items you will get some nicer ganders. I love this feature, especially with the Skin Perks we run. Some of these skins are really awesome to look at. They’ve updated the admire animations for the Pickaxe, Bandage, Bota bag, Water bottle, Big cleaver, Crossbow, Hammer, Mace, Salvaged axe, Salvaged Icepick, Torch and Longsword! 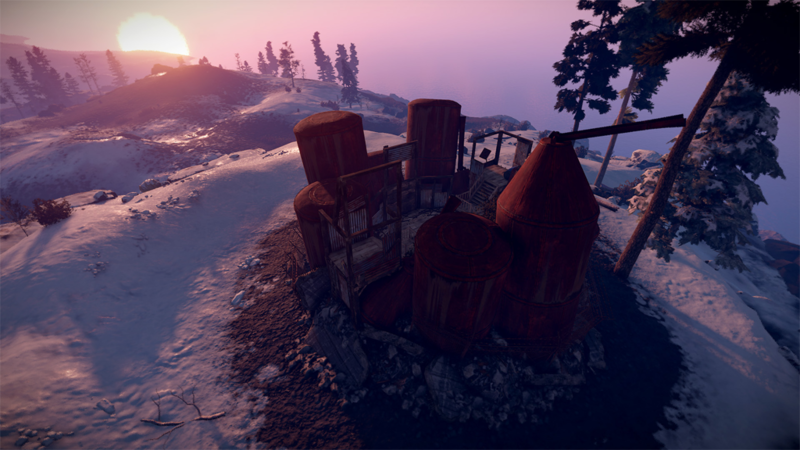 You can also see some improvements to the view models. They are said to look ‘snappier’ with new additions to smoke coming out of various areas. 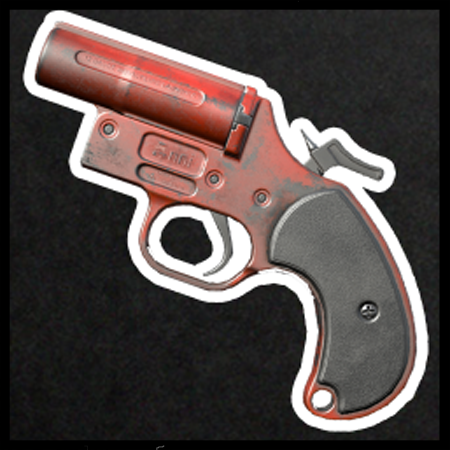 Most of the updates of course are related to the weapons. It appears that two updates worth mentioning are coming in the near future. Updated Pine Trees and Underwear! Yes, you get to run through the woods in your undies as the realistic pine needs tickle your Bum-fuzzler 🙂 The detail on the trees are really really nice. I’m looking forward to it. Check out the pics below. Below is a complete list of updates. As always I’ve highlighted the items I like most, but surely there are other important touches this time around. Enjoy!